Located in Downtown Blacksburg under Top of the Stairs. 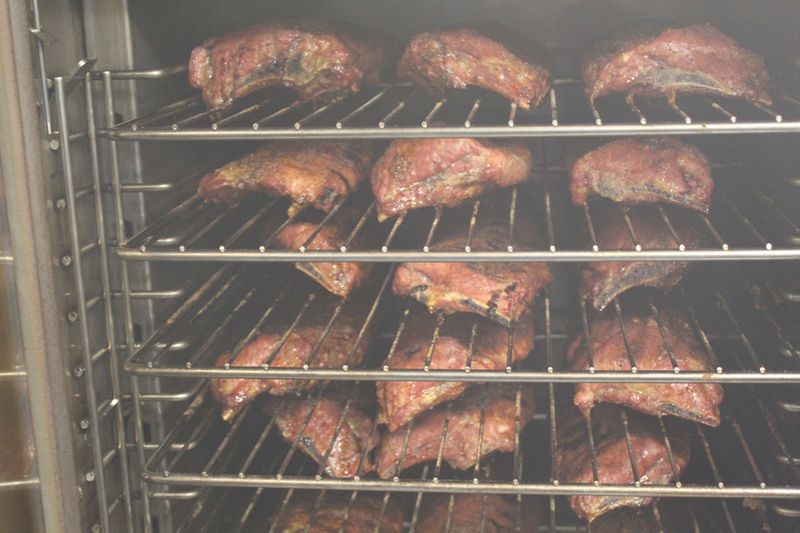 Dine in, Carry out, or Cater your next event. Bottom of the Stairs opened in spring 2017, but fans of the ribs, pulled pork, brisket, and sausages that were long time favorites at Top of the Stairs already knew what to expect. Our downstairs location is a family-friendly spot serving lunch, dinner and drinks with plenty of seating inside and outside, even upstairs on busy days. 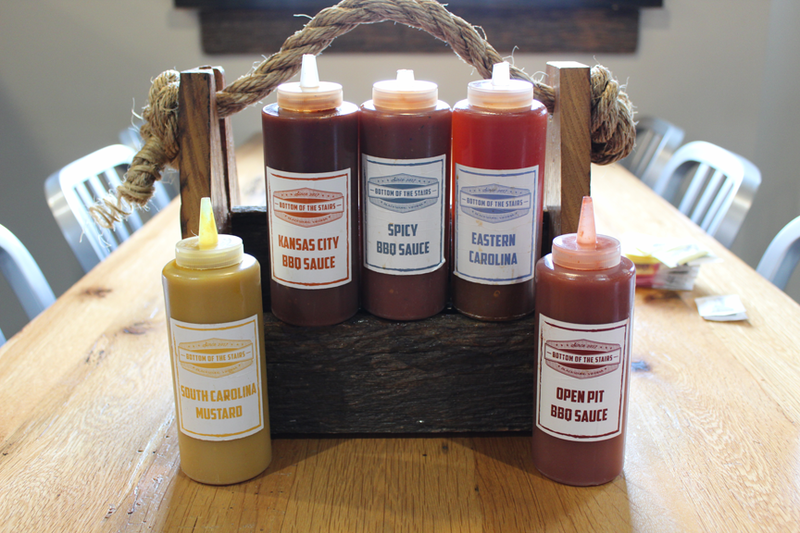 Pair our house-smoked pork, chicken and brisket with one of our own tangy, sweet, or spicy sauces for a meal unlike any other in Blacksburg. With metered parking in the lot next door, and an easy walk across the street from the Virginia Tech campus, Bottom of the Stairs is a convenient spot for lunch and dinner. Tender chunks of brisket, carrots, potatoes, onions, cabbage, corn, green beans and zucchini in a beef broth. Dinner portion served over mashed potatoes with a dinner roll. Spinach and arugula blend topped with strawberries, red onion and feta cheese. Served with an apple cider vinaigrette or your choice of dressing. Cinnamon roll waffles topped with fried chicken tenders served with bacon cheesy tots. Syrup and hot sauce on the side. Fluffy eggs with either ham or bacon, grilled onions and peppers, tots and cheddar jack cheese. Served with salsa and sour cream and your choice of a side. Buttery shortbread crust and a creamy filling with a bright tangy lemon flavor. Smoked BBQ meatloaf with mashed potatoes and green beans. Buy one get one 50% off; Buy any sandwich and a drink and get another sandwich of equal or lesser value 50% off. Dine in only. A kids meal and drink is free with each adult food and drink purchase. Kids 10 and under. Tender chunks of pork belly flash fried crispy and tossed in your choice of sauce. Served with ranch or bleu cheese. Breaded green tomatoes sliced & fried served with sweet chili sauce and BBQ ranch. Choose half or full basket. Breaded fried mac and cheese. Choose half or full basket. Fresh fried dill pickle chips served with sriracha aioli and ranch. Choose half or full basket. Seasoned and breaded chicken tenders with tater tots.